Remaining Crossroads shows for 2013! 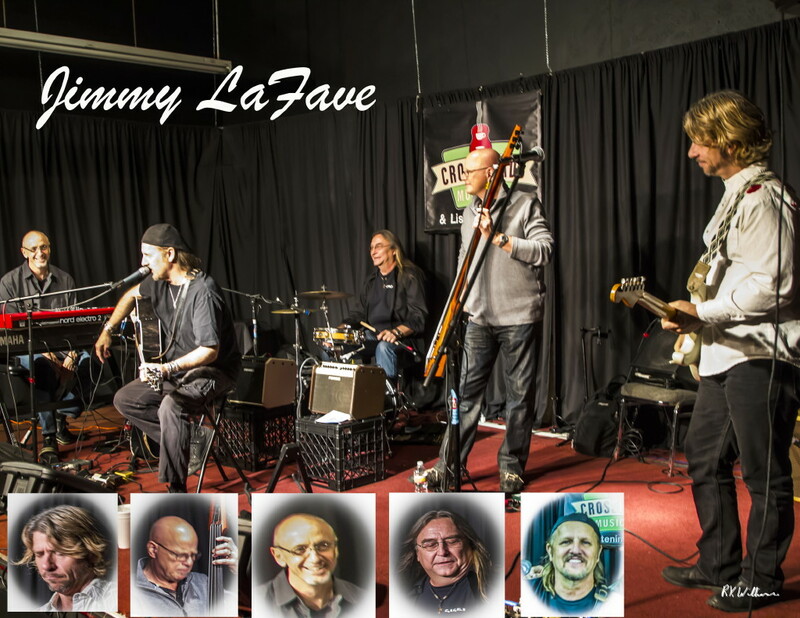 Jimmy LaFave, back HOME in East Texas! 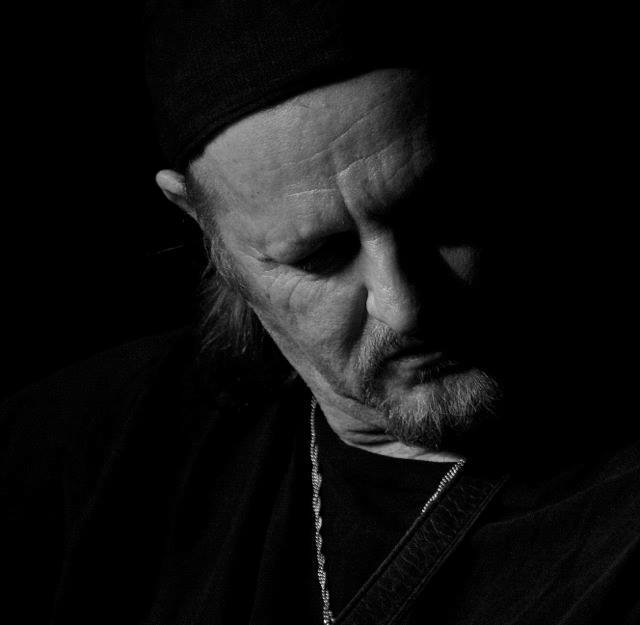 Jimmy LaFave’s hometown of Wills Point, Texas, is actually less than sixty miles from the Crossroads Stage here in Winnsboro, Texas. That is certainly close enough to say that Jimmy was “Home” on Friday night, playing to “His people.” [pictures] These are terms Jimmy himself used to describe some of the feelings dancing around inside this great singer/songwriter/musician/entertainer, as he shared some thoughts & some stories of the past with his band and those lucky enough to be in the audience that evening! There was a great vibe & energy bouncing around the Crossroads Performance Hall that night! Jimmy & his band tapped into that source, and truly delivered an inspired performance! The only set list present was between Jimmy’s ears, and I believe he allowed that to change throughout the night, playing tunes inspired by the tune/story before, and trying to satisfy the requests coming from the appreciative crowd. At times it felt like Woody Guthrie’s spirit was up on that stage with Jimmy & the band. There will never be another performance quite like the one delivered last Friday night! That’s an easy statement to make, since Jimmy is one of those musicians that prefers NOT to play a song the same way twice, which allows for creative MAGIC to show up during his shows–magic you can’t get listening to a CD! In honor of where they were performing, they even did a rendition of Robert Johnson’s “Cross Road Blues,” totally unrehearsed! It was AWESOME, and guitarist Phil Hurley totally SHREDDED IT!! “Never a Moment” performed by Jimmy LaFave a couple nights ago! Druha Trava reunited with Winnsboro! 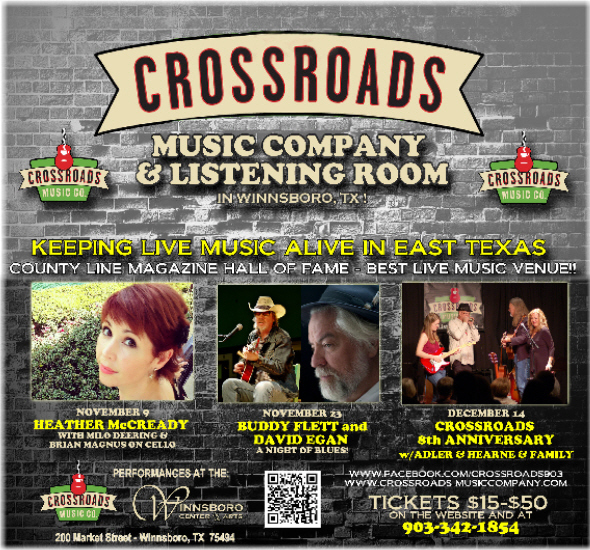 Crossroads Music Company & Listening Room, Winnsboro, Texas? A popular stop for INTERNATIONAL performers? Could this be a true statement? Not only are we a tour stopping spot, we rank as one of many musician’s FAVORITE TOUR STOPS! 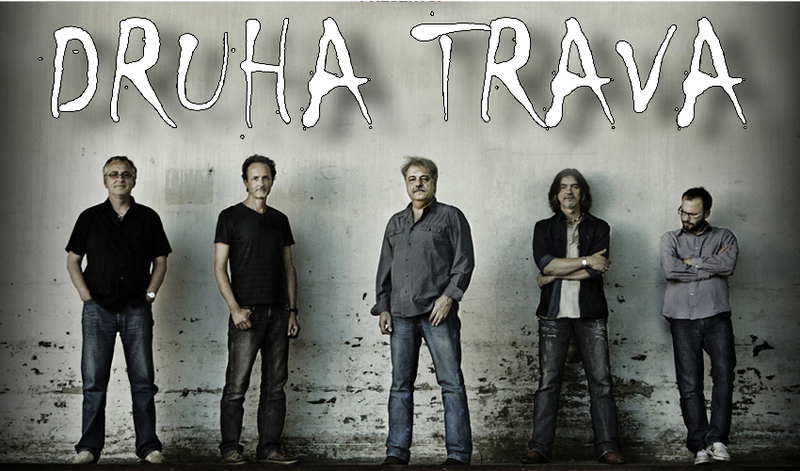 Such is the case with Druha Trava, one of the top Bluegrass/Americana groups from the Czech Republic. [click to go to their website] They try to tour the U.S.of A. once a year, and it was John DeFoore – awesome guitar teacher and songwriting coach from Mineola – who first recognized this band’s talent, some 19 years ago, and brought them to his Pickin’ Parlor way back then! Since that time, their English has improved – lol – but Robert Krest’an still sings much of the material in their native tongue. What you get when you spend an evening with Druha Trava, is top-notch performances of Robert’s originals, and covers from the likes of Bob Dylan & the Rolling Stones, all with their signature Czech influences–simply fantastic. Truly talented musicians, they blend guitar, bass, banjo, mandolin, dobro, & even a couple wind instruments, with precise/artistic flair! They bring their sense of humor along for the tour, as well! Click here to Czech out [cute, right?] our video of a Bob Dylan cover from Saturday night’s performance! Click here for some photos on the Crossroads FB page. Brad Davis loved the venue! 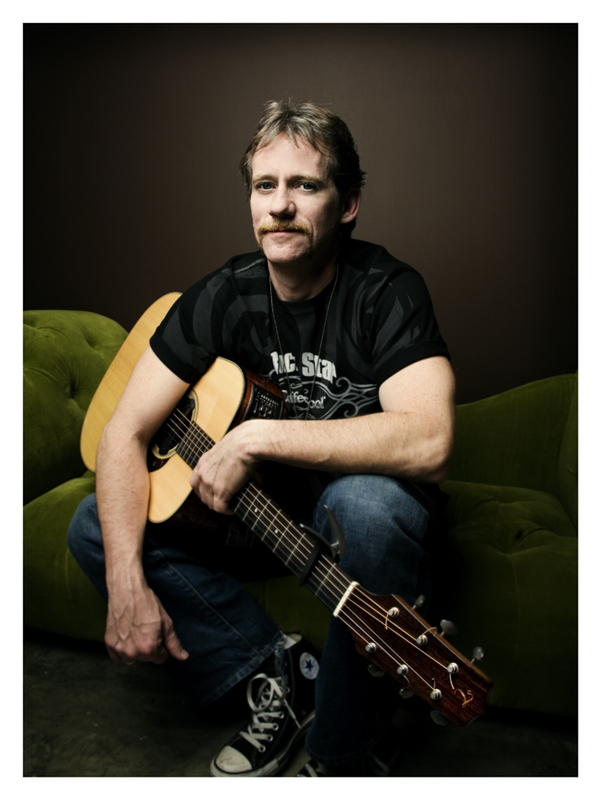 Grammy Award Winning Brad Davis was in the house on October 5th, and it was great…hope you were one of the lucky ones that came out in support of this awesome guitar player/singer/songwriter/Studio Musician of the Year; Texas Music Awards-2013!! Brad was very comfortable in the listening room surroundings at Crossroads Music, inside the Winnsboro Center for the Arts! We were fortunate to have him all day and night on that Saturday, starting off with a guitar clinic and ending with a great performance. Brad’s son Landon made his presence known on the bass guitar, and did a wonderful job backing his dad’s new Spiritual originals, one of which Brad unveiled for the first time ever in public–“Sometimes Your World Will Break.” Great tune! Brad Davis also has his friend Debbie Porter on stage for a couple numbers. She was packin’ everything from mountain dulcimers to ukuleles, including a bass version! Another East Texas rising star, Cole Risner, was Brad’s opening act, and it was the perfect fit. Visit his website and get your hands on all his songs! Cole has been writing some great new tunes…keep your eye on this young man! !